Book Review - "Working Successfully with Screwed-Up People"
There will always be some kind of conflict when working with other people; however it does not always need to be a major stressful incident day after day. Elizabeth B. Brown's new book, "Working Successfully with Screwed-Up People," will help each of us to feel less stressed at work and in general with our interactions with others. It can be so easy to point the finger to others and place the whole blame on someone other than one's self. Brown encourages each of us to look at ourselves and makes change how we can and that is changing ourselves. She devotes an entire chapter to the point that each of us choosing our own behavior, that is our choice and an area that we can makes changes in. I love the organization of this book! It is split into several chapters and each chapter has well-defined section. Each chapter concludes with a list of insights and also questions allowing the reader to really apply the information to his or her own life and encourages really thinking about the information and making changes. The book is very thought-provoking and you will really think about your own life and how you can make changes within yourself and your behaviors, words and actions to make interactions with others less stressful. An interesting, thought-provoking read for everyone! 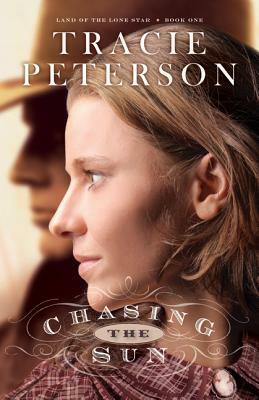 Tracie Peterson's "Chasing the Sun," book 1 in her new series Land of the Lone Star, drew me right into the story on the very first page! Living in the midst of the Civil War, Hannah finds herself in charge of her two young siblings when her father is taken prisoner in Mississippi when he travels there to visit his ailing mother. Hannah is determined to run the family ranch in Texas on her own and refuses the marriage proposal of her father's partner. Life gets more complicated when William, a wounded soldier, appears at the ranch and finds out that it is no longer his family's ranch. Even more shocking, the ranch is being run by a woman, a very independent, stubborn woman! As William and Hannah decide to form a truce and work together, the relationship continues to go past just that. This book is an excellent start to this new series! The characters and relationships between them are well-developed. I felt as if I was transported back in time and was on the ranch with the characters. There are so many different conflicts and plots throughout the book that make it an exciting read, one that will keep you turning the pages! I am excited to see that book 2 will be out shortly, looking forward to reading this one as well! 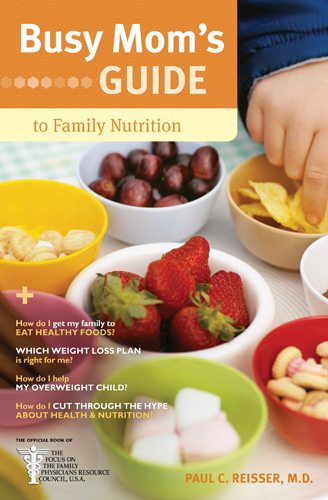 Book Review - "Busy Mom's Guide to Family Nutrition"
"Busy Mom's Guide to Family Nutrition," written by Paul C. Reisser, MD, is filled with valuable information. Split into six main chapters numerous topics are addressed in this book. Each chapter is then split into sections in a question and answer format making it user-friendly and a handy resource. There are in-depth explanations in regards to nutrients and how much of each food category a person should eat each day. There is also a section on the importance of eating together as a family. While this may not be possible to do each and every day, there are arguments for the importance of this to happen and also tips to help this take place as well. There is also a section on losing weight and questions are answered in regards to how to be successful while doing this while getting all the needed nutrients as well. When I received this book, it was not exactly what I had expected as I thought it was going to include recipes and meal plans of healthy, nutritious and child-friendly meals. However, when I began to read this I was pleased with the amount of information that is included in the book! This is a great resource for anyone who would like to make better and healthier food choices! 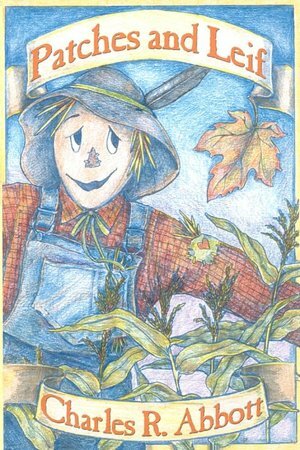 "Patches and Leif" written by Charles R. Abbott and illustrated by Cindy Strosser, is a great story about friendship! Patches takes his job very seriously as a scarecrow watching over the corn. One windy day he hears someone having a good time. Patches sees a leaf twirling through the air. The leaf introduces himself as Leif and begins to tell Patches about his adventure one day outside of a window at an elementary school. Patches asks his new friend to return to him and tell him about other adventures. This is a well-written story that will teach children the importance of responsibility and dedication to one's job and also friendship. The illustrations are beautiful and filled with so much detail! They go along perfectly with the story! Memorial Day has always been an important day in my life...a day that was not ignored, or taken lightly or just a holiday. When I was very young I remember going to the parade in our town, then coming home quick to get cans of flowers loaded in the car and then heading out to attend the parades in the 2 neighboring towns. I always had older siblings in the parade as our school marching band always participated in all 3 parades, then when I was older I marched as well. After the parades and before going home, we would stop at the cemetery and leave flowers on the graves of my grandparents, great-grandparents and great-aunts whom all had passed on, some I never had the privilege to know. My grandma (my mom's mom) always went with us and I remember the look on her face when she would lovingly place flowers on her husband's grave, as well as on her parents and her sister. The love she felt for them all was evident in her eyes, her expression and the way she placed the flowers there. Now that my siblings and I older, married, not living in our parents' home we are not together to do this. Each Sunday the ones who are in the area gather together at our parents' home for dinner after church, a time of much food and conversation. Usually the day before Memorial Day, or a Sunday the next week or 2 after, we will go to the cemetery as this is a time that we can go together. This is a time that I still treasure and will always treasure. Memorial Day is a day for remembering and honoring those who have served our country, but also a day that I remember loved ones who have passed on as well. I am hoping to have some of the same family traditions with my own children and so come Monday morning, while we will not be attending all 3 parades (maybe when they're a little older! ), we will be attending the one in our town. And while it will not be tomorrow, I hope to be able to go to the cemetery within the next few weeks and make a point to share the love that so many of those whom have passed on showed to me. Patriotic decor is so popular this time of the year and I love the meaning behind it and the reminder of our freedom and the sacrifices that so many make every day. Being a mom is a full-time, ever present role that a woman is in. It is very rewarding and filled with joy and happiness, but at times it is also tiring, frustrating and overwhelming. It can be so easy to feel alone and going through the struggles and difficulties alone. "Always There: Reflections for Moms on God's Presence, edited by Susan Besze Wallace, is filled with devotionals by several different woman to encourage mothers and remind them that God is always there with them each and every moment. Each devotional begins with a Bible verse and ends with a reflection question. Each devotional is only a couple of pages long as we all know it is difficult to find a few spare moments to ourselves, so this is a devotional book that is ideal as a tidbit of encouragement is quickly gained! I really enjoyed this book as I could relate so much to many of the topics and stories shared within the pages. This book is such an encouragement and a must-read for moms - new mom and ones whom have been moms for years! I was so excited to receive Kathleen Morgan's "A Love Forbidden!" I loved book 1 of her Heart of the Rockies series, "A Heart Divided," and could not wait to get back in the lives of the Wainwright family! Shiloh has forever lived in the shadow of her older sister, Jordan, and Shiloh has never been able to forgive her for what happened to her friend, Jesse. When Shiloh takes a teaching position with Ute Indian children, she never dreams that she will see Jesse once again, but she does and he is not as excited to see her as she is him. There is a great amount of tension between the whites and the Utes and Jessie being half-Ute is caught in the middle when he feels his heart growing more in love with Shiloh. When family circumstances force Shiloh to return home for a time, Jesse accompanies her and chooses his mother's people over his love. However, when Shiloh returns to her teaching position, the tension is higher and Jesse is afraid he may have lost her forever and is forced to confront his feelings once again. Kathleen Morgan does such a wonderful job bringing her characters to life and weaving together so many things in the book. The cultural and political differences and tension are a main story line, but then there are family and sibling relationships, and domestic violence tied in as well. Several of the characters are dealing with issues in their own lives that are consuming them with guilt and they must seek forgiveness; these scenes are moving and well-written. I am looking forward to more books in this series as I love this family and these characters! I would love to read more about each of the characters, including finding out if Nick and Jordan ever find their "happily ever afters" and how life continues on for Cord and Sarah and Shiloh and Jesse. I highly recommend this series to anyone who enjoys historical fiction! Needing to challenge himself and also needing to heal after losing his wife to breast cancer, Paul sets off on a life-changing hike. Along the journey Paul meets many individuals and shares about his interactions with them. Not only is Paul phsycially challenged , but he is also emotionally and spiritually challenged and refreshed as well. Paul Stutzman shares his journey in his book, "Hiking Through." This book is a record of his journey, both physical and emotional. Paul shares his heart and his personal thoughts and experiences throughout the book. I was drawn into this journey right away and I felt that Paul really does a great job at connecting with the reader by his style of writing and his honesty. I found his experiences along the trail fascinating as hiking the entire Appalachian Trail is probably something I will never do and this allowed me to have this experience. This book would be an excellent read for individuals trying to cope with the loss of a loved one as well. Olivia Newport has made me a fan of her writing with her first book of The Avenue of Dreams series, "The Pursuit of Lucy Banning." 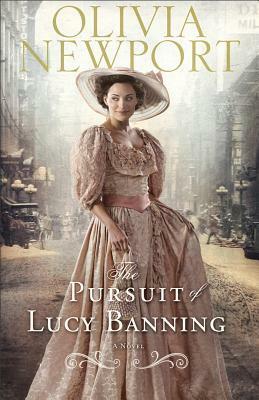 Lucy is a privileged woman living on Prairie Avenue, the home to Chicago's wealthy families. Lucy is engaged to be married to a long-time family friend and yet she is not happy. Lucy knows there is so much more to life than planning dresses to wear to the numerous society events. Lucy is involved with charity work at a local orphanage and is secretly taking a college course. When Lucy meets her brother's friend, Will, she finds herself drawn to him and thinking about him all of the time and although she has known for awhile that she cannot go through with her marriage to Daniel, each day she knows this even more. The bond and friendship that grows between Lucy and Charlotte, her maid, saves both of their lives as they are both harboring secrets and this unlikely friendship may be the best either has had. This book is very well-written and the depth of the characters and the story is so much more than I expected! Lucy is not only seeking rights for women, but for everyone as she does not believe people should have special rights just because they have money or a certain last name. Mental illness is addressed as well, and this is not just touched upon, but the symptoms are evident throughout the interactions of the characters and it is dealt with instead of brushed to the side. Charlotte is one of my favorite characters and there are still so many secrets about her and her life that are yet undiscovered and I am hoping book two will answer so many questions, but also have Lucy and Will playing prominent roles in the story as well! I am looking forward to other books in this series and I encourage anyone who enjoys historical fiction to read this book! 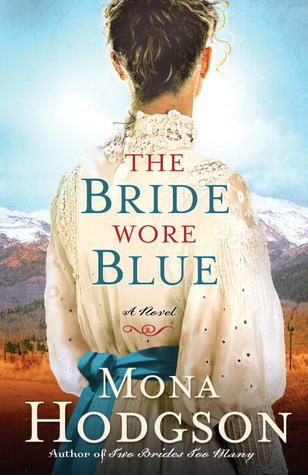 Mona Hodgson continues her Sinclair Sisters of Cripple Creek series with book 3, "The Bride Wore Blue." All of the sisters are now together in Cripple Creek as the youngest sister, Vivian has just moved there from Maine. Her trip was not uneventful in the least, and Vivian's motives for moving are more than she has let on to her sisters. Vivian is determined to make a life for herself and move on from her life in Maine, but it is more difficult than she originally thought it would be. Carter and Vivian have a rocky first meeting, but it seems that there is more to their feelings for each other than mere concern and friendship. Vivian finds that she is digging herself deeper into a mass of lies and this is puller her further from the ones who care about her. I really enjoy this series! Hodgson brings the characters to life and I love reading about Kat, Nell and Ida again and how their lives are now. Vivian is such a lovable character and I found myself cringing at some of her choices and cheering her on all the time. This series is worth reading! I was immediately drawn into the story and wanted to keep reading until the end. Vivian learns that God offers forgiveness and nothing she does it "too bad" for His forgiveness and grace; a great reminder for all of us! How many of you mothers have felt alone, friendless, "just a mom," I admit I have my moments of feeling this way. Tracey Bianchi understands this feeling and her latest book "Mom Connection" is written just for us moms with these feelings! Raising kids is time consuming and this combined with everything else that is a part of daily life, it can be and it is difficult to find time to have relationships with other individuals outside of our own homes. Sometimes it is even difficult to talk on the phone for a few minutes without being interrupting and getting pulled away to be a "mother." Bianchi encourages each of us to build deeper relationships with others and also to find and enhance the rhythm of our family and home as this will be better for not only ourselves but the whole family. Split into 3 main sections this book is easy to read and use. There are checklists and questions making this interactive and allows for the reader to really ponder what has been read and apply to real-life. I love her style of writing as I felt like I was engaged in a conversation with her throughout the book! Filled with humor and her own feelings and experiences make this book a great one to open up and read when you have a few spare minutes or a longer amount of time to really get into it. After spending time with this book, you will feel less alone and refreshed, ready to make changes in your own life! I do like to stick with themes and collections, but I like to mix and match from various stores and collections as well! On a recent trip to HomeGoods - my first time ever and I fell in love as soon as I walked in the door!!!! - I spotted a picture I just knew I had to have it and it found it's new home today (for the next months anyways!) on a wall in my foyer. Hobby Lobby always has so many things each time I go in and I was able to find a few more patriotic pieces to put in the living room (fireplace room) that I have designated as the patriotic decor room for the summer May through Labor Day, but I'll do a post on all that closer to Memorial Day. Just a glimpse into my summer decor and preparing for summer! :) Oh yeah and my candles....today's scents to kick off the summer jars: Summer Fresh, Tropical Fruit, Sun & Sand and Pink Sands! Pink Sands was a favorite of mine last summer (as I am beginning this summer with about a 1/3 of the jar left!). Looking forward to burning some new (to me!) scents this year as well! Island Spa, Vanilla Lime and Fruit Fusion are a few out on display now around the house and ready to be lit and enjoyed! Growing up each year on May 1st, I remember my sisters and I going down into the family room and "secretly" working on May Day baskets out of construction paper. Then we'd go out to our mother's flower beds and pick flowers to fill these baskets all the time trying to remain unseen. Then we would cross over the covered bridge between our house and our grandmother's house, pausing at the top of the path to be sure my grandma wasn't outside or anywhere to be seen. After we were sure she was no where to be found we would race across her lawn to the neighbor on the other side of her house, an older woman who lived all alone and hang a basket on her door, knock on the door and then hide around the corner of the house. We'd wait until we heard her open the door, discover the basket of flowers, call out a "thank you" and then we'd sneak back over to Grandma's house. This was more tricky as there are windows all over the side of the house, but one of us would hang the basket on the Grandma's door, ring the doorbell and then join the others behind the bushes at the end of the house. After hearing her discover her basket we would then return home and be sure that our mom was inside before leaving the basket on the front door, ringing the doorbell and then running around to go in the back door to pretend we had been home the whole time. Although this was many years ago, each year at the start of May I think about these days and smile, remembering those special May Days. Now that I have two children of my own, I want to pass on some of the traditions had growing up. While it won't be the same (they don't live next door to their grandparents, so there won't be the "sneaking" and "secrecy" and we don't have fresh flowers growing at our house yet), this morning we spent time making baskets out of construction paper and they will be delivered to the grandparents hopefully bringing a smile to their faces and another way to know they are thought of and loved. And I am hoping this will be something my two will think back on in years to come.